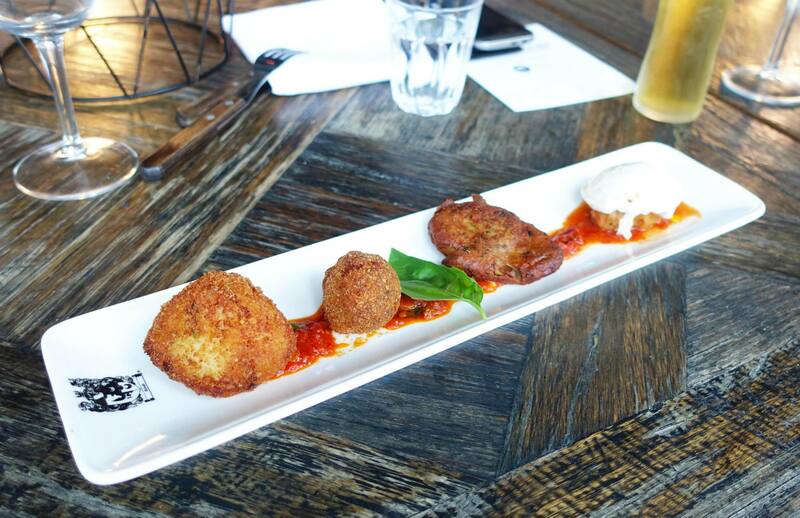 About two weeks ago I had the pleasure of visiting Crinitis Woolloomooloo to sample some dishes from their menu as part of a tasting event. 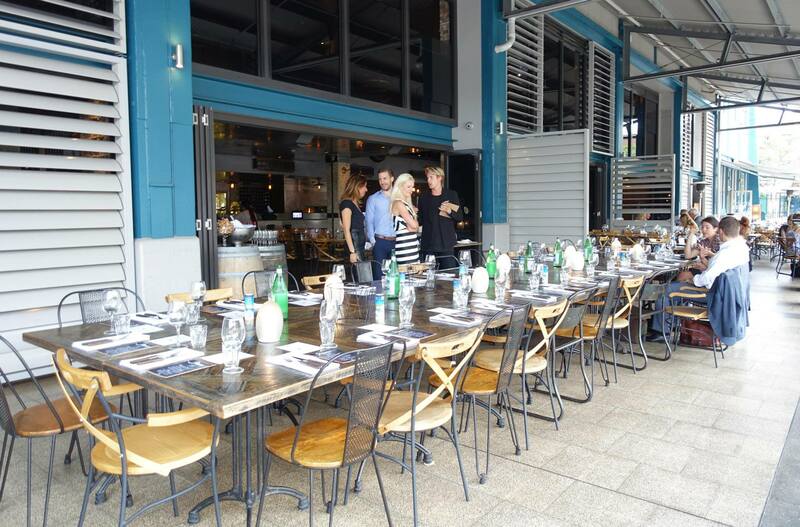 The restaurant which is the fourth one to be opened in Sydney is situated on the beautiful Finger Wharf with sweeping views of the Sydney city skyline. 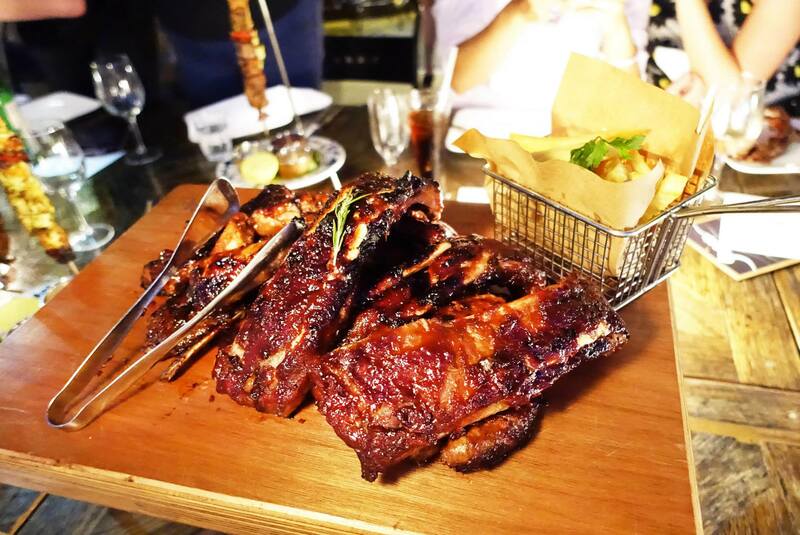 Crinitis is a classic establishment and certainly seems as popular as ever with the Sydney dining crowd. This was easily the winning dish and one of the signature items available on the menu. Everyone I know has heard of the infamous metre long pizzas at Crinitis, they now do one that’s an insane three metres long! The pizzas are pretty good and we were able to try the standard margarita, azzurri (prosciutto) and zappatore (Italian sausage) which was also my favourite of the three. 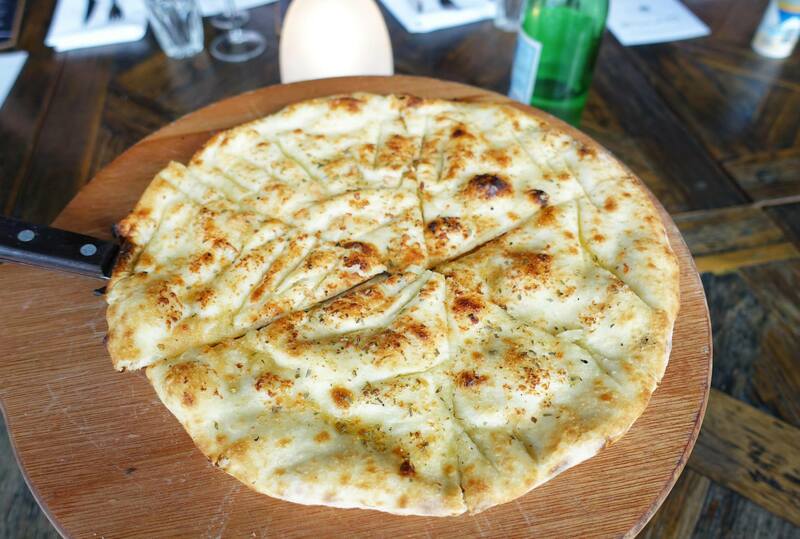 This starter actually came out before the three metre pizza, a nice tasty crispy garlic pizza before main courses arrived to keep us hungry diners at bay. I loved that the entrees came out in tasting sizes which allowed us to try a bit of each. I usually don’t order the entrees when dining here and prefer to go straight to the pizza as an entree. Most of these didn’t stand out with the exception of the deep fried stuffed olives , it was surprisingly good and very crispy. 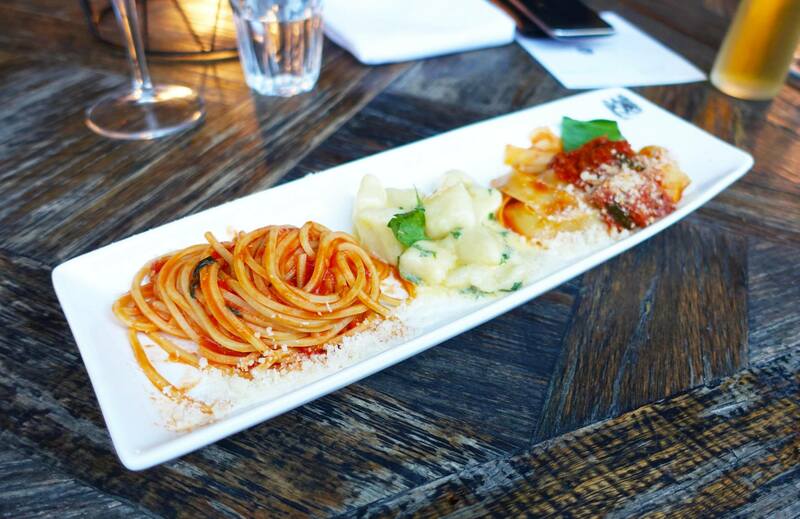 There is an extensive list of pastas available on the menu and despite having visited Crinitis multiple times and trying different ones each time I’d never had any of the three being served. I would have to say that the gnocchi was the clear winner, it was extremely fluffy and deliciously creamy. Unfortunately by the time we reached the meat platters we were almost completely stuffed and managed to only try a little bit of it. The meats were mouth wateringly good and tender but my stomach simply could not take any more food from the magnificent feast that we just went through. 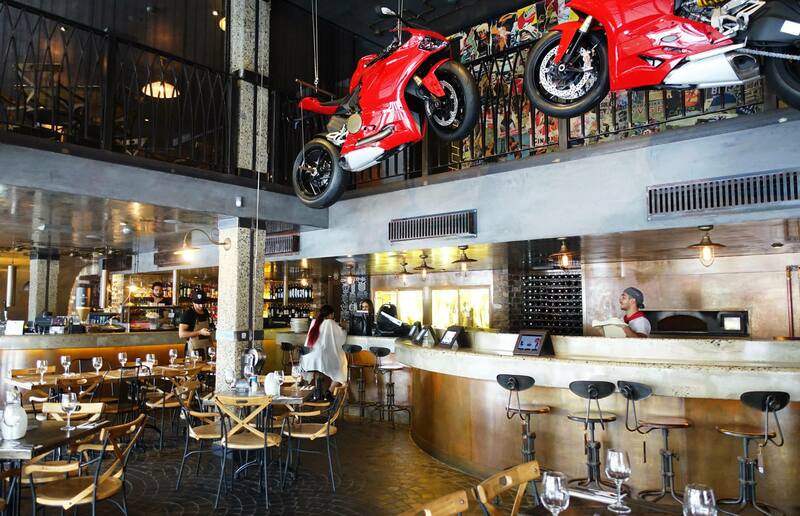 I love that every Crinitis restaurant has the signature Ducati motorbikes above the bar, you know where you are instantly and it gives the restaurant a unique character. 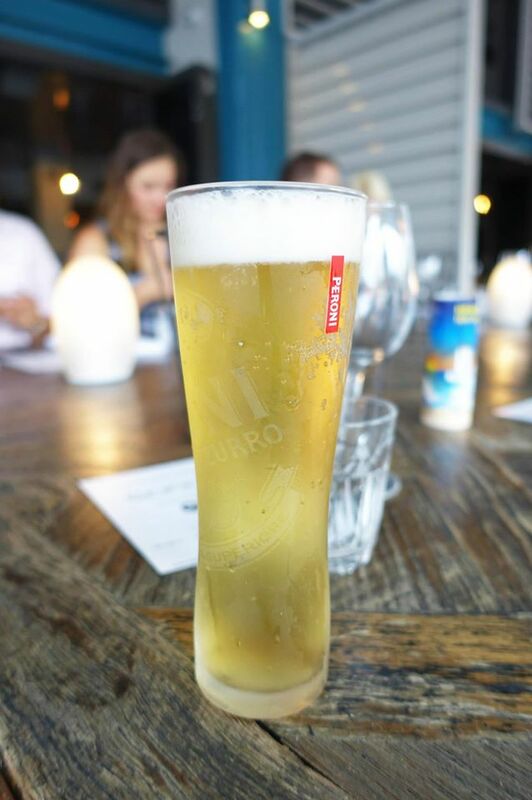 This particular location is just about perfect, it’s much less crowded than the other locations and despite being on the main dining strip of Woolloomooloo it’s still a good place for a relaxing meal with a view. All the restaurants are great for big groups. 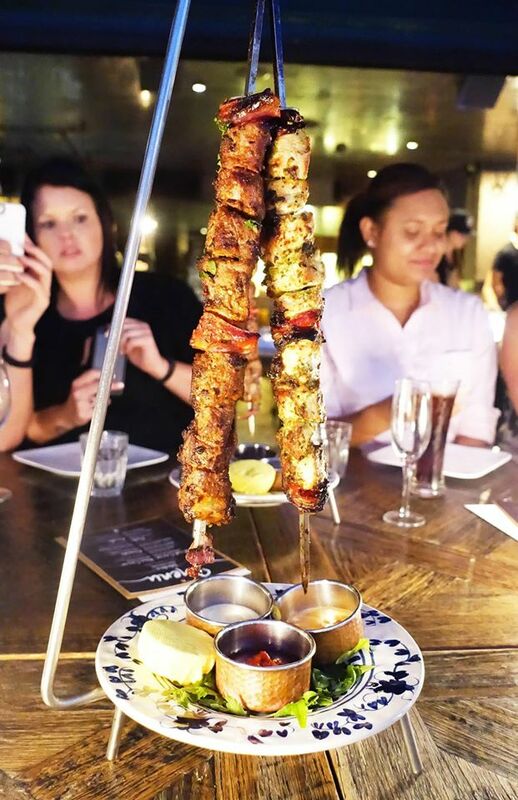 Mr C dined as a guest of Crinitis and Sweaty Betty PR. I think the gnocchi is the best at Criniti’s! 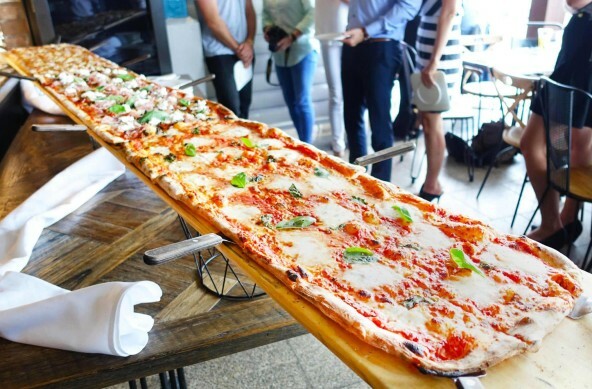 We went to the Darling Harbour branch a couple of months ago and I thought about ordering a metre-long all for myself, but there were too many other items on the menu I wanted to try! One day I might revisit and share the three-metre! Whoa, pizzas are becoming bigger and bigger, longer and longer now! Love it that thin! Whoah a 3-metre pizza is epic! How does it fit in the oven!